My husband smiles as he is grabbing one of these from the container(again), he states, "This has got to be what being addicted to crack feels like." I am going to accept that as an extreme compliment that he adores the dessert I made this weekend. He doesn't even like coconut! Dropping these off at a fundraiser this weekend, I chastise myself that I have a habit of preparing food items I have never tested on my family first and taking them to important events. 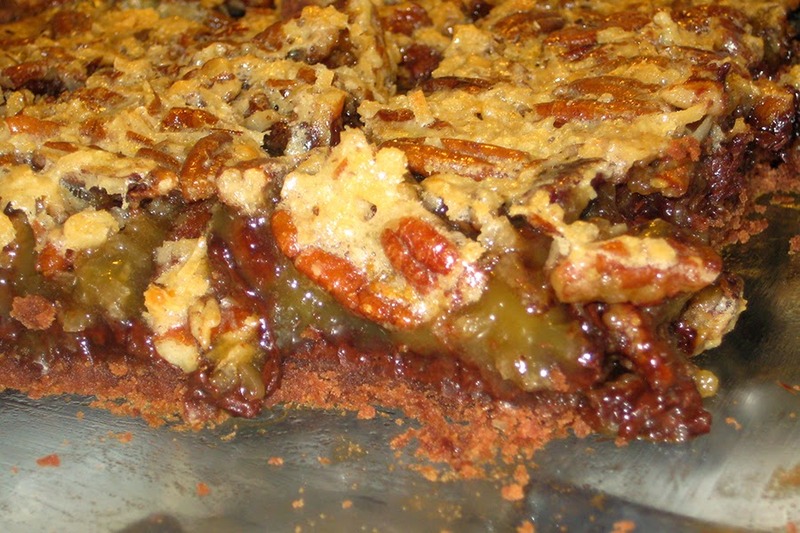 If you are a fan of German chocolate cake and pecan pie, this is a perfect combination of heaven. You may just fall over from the immense pleasure of consuming this. 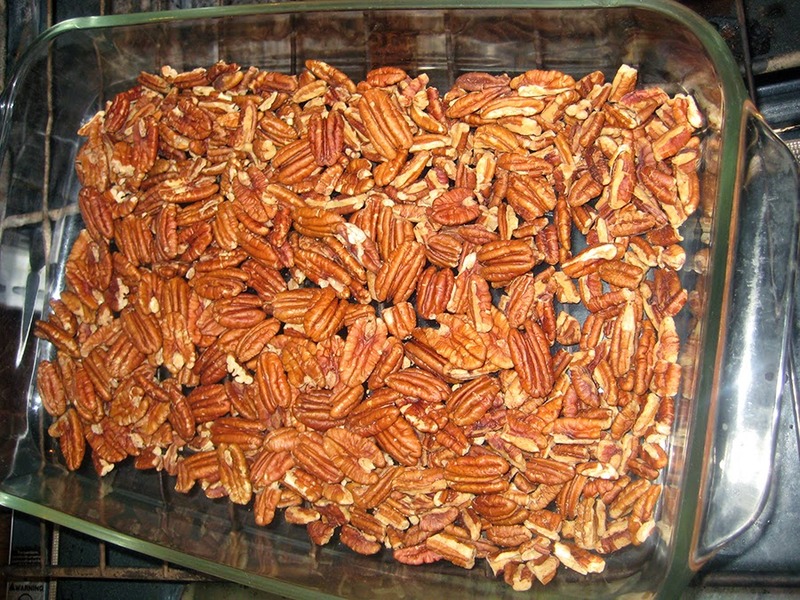 Arrange pecans in a single layer of a shallow baking pan. Bake 8-10 minutes or until lightly toasted. Spray baking dish with oil. 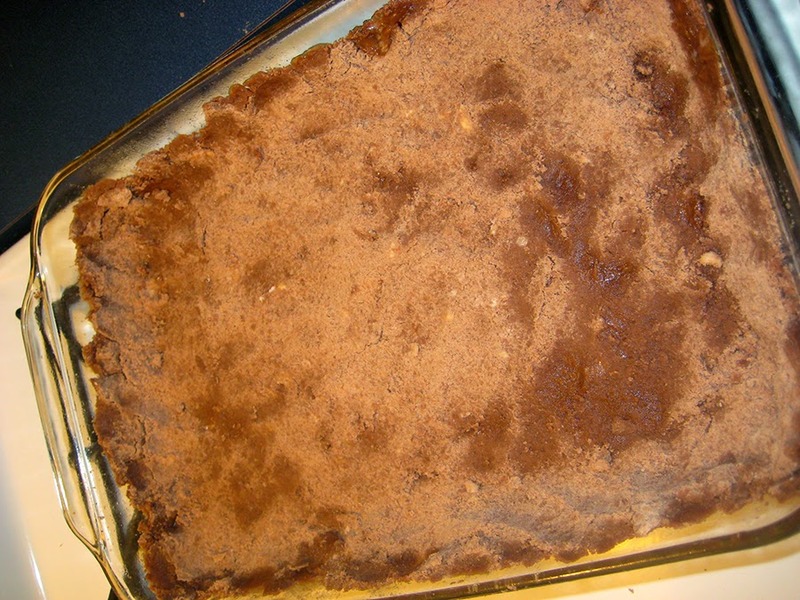 Combine together flour, confectioners' sugar, and cocoa. Add cold butter. Mix together. (I mixed mine in my Kitchen Aid mixer with the paddle attachment) Press mixture into bottom and about 3/4-inch up sides of prepared pan. Place eggs in a large mixing bowl, and beat lightly. Add brown sugar, corn syrup, and melted butter. Combine together until smooth. Stir in coconut and pecans. (still used paddle attachment) Pour evenly over partially baked crust. Bake 30 minutes or until edges are golden and filling has set. 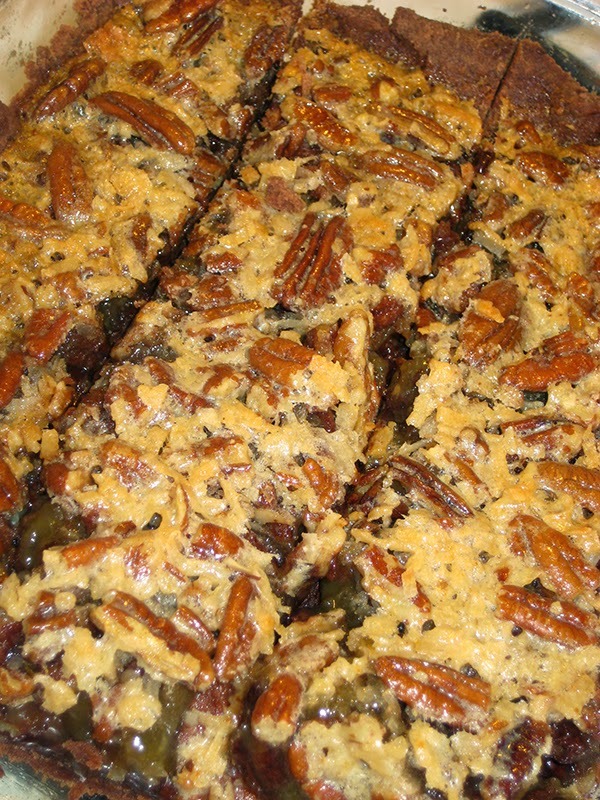 Refrigerate 1 hour before serving or let this set on it's own like a pecan pie. Lent: Why do Catholics Eat Fish on Fridays? Narcotics: "Who Ate My Sandwich?"